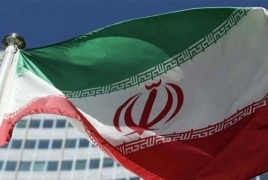 PanARMENIAN.Net - The Russian Emergencies Ministry, together with the Armenian Emergencies Ministry, have begun delivering humanitarian aid to Iran affected by floods, Mehr News Agency reports. Humanitarian aid shipments will be sent from the Russian-Armenian Humanitarian Response Center in Armenia to Iran and will be delivered to the Iranian Red Crescent Society in the northern city of Rasht, the Russian Emergencies Ministry said on Saturday. Referring to the close relationship between the two sides and continuous contact of Russia's Ministry of Emergency Situations with IRCS over people’s need in the flood-affected areas, Russian Prime Minister Dmitry Medvedev ordered the ministry to send humanitarian aid to help salvage the damages. The cargo includes more than 4,000 tents, folding beds, blankets and other essential items. Earlier, Iranians who are living in Russia and the Iranian Embassy in Moscow joined IRCS to help the victims of recent floods in the country.